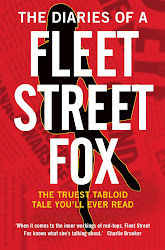 fleet street fox: More iMoney than iSense. EARLIER this year I was in a developing country when I discovered the travel charger I had bought "was not compatible" with my iThing. Even though all the plugs plugged properly, because it wasn't an Apple product it wouldn't work. Naturally, as someone with an iThing the idea of it not working very nearly brought my world to an end. The despair, the wailing, the gnashing of teeth. Then someone told me there was an Apple store in a nearby town. I stepped over the rotting waste in the road, past the flea-bitten stray dogs, did a little jump across the open running sewer while ignoring some beggars and stepped into the store. Inside everything was clean, with lots of shiny, cool-looking iThings on air-conditioned display. It was just like every other Apple store. I asked the assistant for a charger for my iThing, he whipped it out of a drawer, and then my jaw hit the floor when he asked me for £25. Spending £25 on a plug is pricey enough for someone who lives in London and has several iThings. But I was in a country where £25 was roughly the same as the average annual wage, which makes it stratospherically expensive. Imagine being charged £25,000 for a plug! Of course I paid the money, because I couldn't cope without my iThing for the rest of the week. As I was travelling about I relied on the GPS maps to tell me where I was and where I needed to be. I didn't really need to check Facebook and Twitter and my emails and to be texting some boy back at home, but I used it for all those things too. My iThing is great, but excuse me for not ululating and rending my clothes over the death of Apple founder Steve Jobs. It is of course a sad thing: he was only 56, he had a family who loved him, he was a great inventor who could have done who-knows-what-else, and pancreatic cancer is a rotten way to go. He fought it for seven years whereas most people who have it die within weeks of diagnosis. He was a very clever man, his company has more ready cash than the US government, and he did lots of things that made my life easier and simpler and ever-so-slightly cooler-looking. But he is not the Messiah, not unless he reboots at some point over the next few days. He did not cure disease, fix Africa, or solve any great issues of our time. His greatest achievement was to give those of us who can afford it a little computer in our pockets, which can be rather magical and not just because it works by waving your hand. Millions of us are more connected to each other than ever before because of him. What is tweeted in Syria can be Facebooked in New York, news has become a vast democracy and a bumbling hack in a third world country can find her way about. Things work a little better, just so long as you are "compatible". Without iThings the developed world - those bits that have holidays, and minimalism, and want to be cool - would be, well, analogue. I'd have to buy an actual paper map, and talk to my friends individually if I wanted them to know what I was doing. I would not have cool apps to take funky pictures, I would have to carry CDs around in my car, and the world would never have had FoxBall (which answers all of life's questions and is never wrong, not least because the answer is usually 'vodka'). 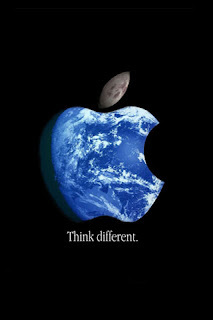 Without iThings life would be slower and not as shiny. But most of the world has open sewers, and stray dogs, and iThings are just in a shop that only tourists visit where even the accessories cost the same as most people earn in a year. The good stuff about iThings doesn't go to the people who'd appreciate it - and need it - the most. I'd be a lot happier paying £25 for a plug in London if I knew it was paying for a half-price plug somewhere else. If only Apple was compatible with poverty.